Bridal Makeup Service For your wedding day. Our makeup artists bring out the best in you, using our top quality cosmetics. This Makeup application appointment includes foundation, powder, eyes, lips and cheeks selections as well as brows, highlighting and contouring as desired. 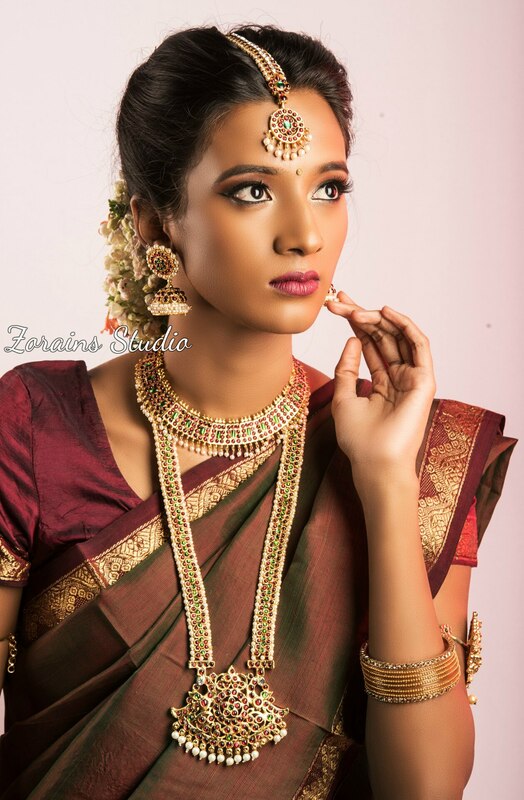 Book your appointment with Zorains Studio, Domlur, Opposite Dell, EGL, Bangalore.